Nairobi, Mombasa and Kisumu are the three cities in Kenya; Nairobi lies in central Kenya, Mombasa on the Indian Ocean and Kisumu on the shores of Lake Victoria. Nakuru, Eldoret, Kitale and Lamu are among the major towns. Nairobi is the capital of Kenya and the main tourist hub, it’s home to the country’s major international airport, Jomo Kenyatta International Airport (NBO). Most tours start in the capital, which also hosts numerous Kenyan businesses and more than 100 major international companies and organizations. There are many tourist attractions in the capital such as, Nairobi National Park, Giraffe Centre, Bomas of Kenya, monuments, museums, nature parks and an active nightlife. 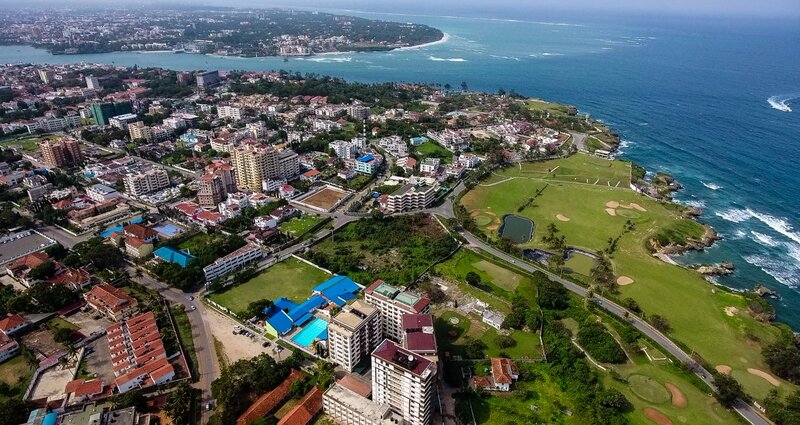 Mombasa is the second-largest city in Kenya and a regional cultural and economic hub. It has a prominent port (Kilindini Harbor), an international airport (Moi International Airport) and it is an important regional tourism center. Tourist attractions include Mombasa Old Town, Fort Jesus and the beaches on the North Coast and South Coast of Mombasa Island. Kisumu is the third-largest city in Kenya and the principal city of western Kenya. It is a port town and the port, sited on the shores of Lake Victoria, is used for shipping goods destined for Tanzania, Uganda, Burundi, Rwanda and Democratic Republic of Congo. Tourist attractions include the Kisumu Museum, Kisumu Impala Sanctuary, Hippo Point and Ndere Island National Park. 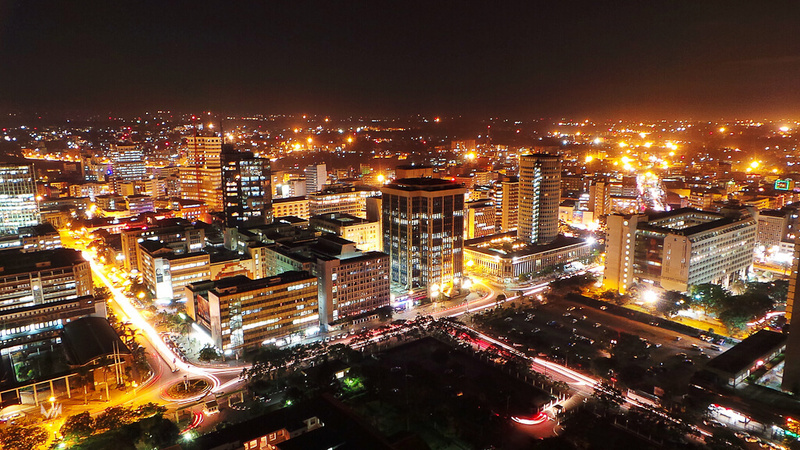 Nakuru is the third-largest urban center in the country. Agriculture, manufacturing and tourism are the backbone of the economy of Nakuru. The town is also an important educational center. Tourist attractions include Lake Nakuru, which forms part of the Lake Nakuru National Park, Menengai Crater, the second largest surviving volcanic crater in the world and Hyrax Hill Prehistoric Site. Eldoret is the fifth-largest town in Kenya lying south of the Cherangani Hills, Major industries in the area include textiles, wheat, pyrethrum and corn. Eldoret is the hometown of numerous legendary Kenyan athletes who have dominated middle- and long-distance races. Kitale is an agricultural town situated between Mount Elgon and Cherangani Hills. The main cash crops grown in the area are sunflower, tea, coffee, Pyrethrum, maize and beans. Kitale is a market town for the local agricultural area and it is known for the Kitale Museum (the National Museum of Western Kenya) and an agroforestry center. Saiwa Swamp National Park, which is the smallest national park in the country and home to the Sitatunga, a rare aquatic antelope is close to the town. Lamu is one of the oldest continually inhabited towns in Kenya. It was founded in the 14th century and contains many fine examples of Swahili architecture. There are few motorized vehicles and donkeys are used to carry goods. Lamu Town is a UNESCO World Heritage Site. Below are the most populous cities, municipalities and towns in Kenya. There are only 3 incorporated cities – Nairobi, the capital, Mombasa, the second largest city in Kenya and Kisumu however, there are numerous municipalities and towns with significant urban populations. Two of the cities, namely Nairobi and Mombasa are cities whose county borders run the same as their city limits, so in a way they could be thought of as City-Counties.